Nothing deters customers and guests more than the sight of insects anywhere near a food preparation station or dining area. Eliminate flies, ants, fruit flies and other pesky bugs with our insecticide products from myBoelter. 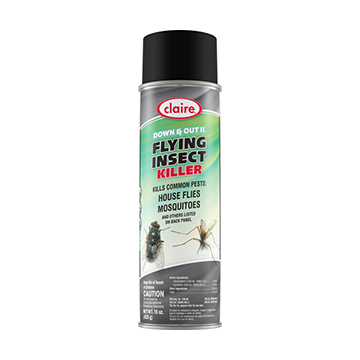 These repellent products are guaranteed to kill house flies, mosquitoes, wasps, gnats and more. Also, the aerosol spray products are made with a water base so they won't stain surfaces. We recommend these products for food service establishments and kitchens.